Oil painting is a fantastic form of art that many people enjoy. However, having dirty paint brushes is the last thing you want to have. Here are some of the best tips on how to clean an oil paint brush in the simplest ways! Fill a cup with some warm water, just enough to dip a little more than the tip of your brush. Squirt a few drops of regular dishwashing soap into this water. Mix it well to make a soapy solution. Dip your paint brushes in them one by one and let them soak for a few minutes. The warm water and the soap will gently cause the oil paint to loosen up from your paint brushes. Take a towel or a napkin and wipe the bristles of the paintbrush gently. Repeat this step a few times until your paint brushes are entirely free of oil paints and clean again! First, you need to remove any excess oil paint from your paintbrush using a newspaper. Take a small piece of the paper and wrap it along the metal part of your paint brush. Now, squeeze gently but firmly enough, and pull the paper upwards so that any excess oil paints get squeezed out from the brush. Don’t press too much, because you may remove some of the hairs of the brush. Do this a couple of times to remove most of the paint from the brush. Use new newspaper pieces if needed. Add some paint thinner in a small container. Dip your brush into this paint thinner and scrub it across the bottom of the container to loosen up any remaining oil paint from your brush. Now, take some more paper and use the squeeze and pull technique once again. Finally, pour out some dishwashing soap either into another small container or on to your palm. Do not add any water to this. Dip your paintbrush into the soapy water and scrub it back and forth to remove the remaining oil paint. Rinse out your paintbrush and use the newspaper technique once again to check if there is any paint left on the brush. If you notice any paint residue, repeat the process until the paintbrush is completely clean. Follow this link if you need help in removing oil stains from paper! Remove any excess oil paint from your paintbrush using a newspaper and squeezing at the base of the paint brush. 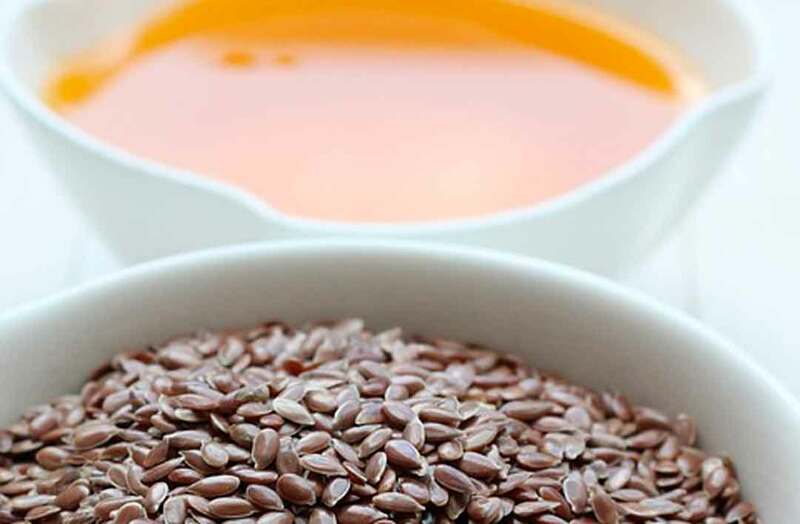 Place a small amount of linseed oil in a container. Dip your paintbrush into this and scrub it at the bottom of the container to loosen up the oil paint from the paintbrush bristles. Take the newspaper once again and squeeze out the excess oil paint from the brush. Repeat this process till you see your paintbrush bristles are completely clean. Take some dish soap and scrub the brush bristles in it. Finally, rinse out your paintbrush and clean it using a rag or a newspaper, and allow it to dry naturally. In case you have left the oil paint on your brushes for too long and need a stronger solution to remove it, rubbing alcohol can be a good solution. However, keep in mind that you should be careful when using this method. Use latex gloves while cleaning your paint brushes with rubbing alcohol. You can also do this outside your home, or keep your room well ventilated while doing it. Pour the required amount of rubbing alcohol into a cup. Dip your paint brushes into the cup and allow them to soak for about an hour or two, depending on how saturated the paint brushes are with the oil paint. Swirl and scrub the paint brushes vigorously at the bottom of the cup with the rubbing alcohol to loosen up the oil paints and make it easier to remove. Take an old rag or a cloth, or even a newspaper, and squeeze out the excess rubbing alcohol and remaining paint from the brushes. In case you still find any paint remaining, repeat the process. Let the paint brushes completely air dry before storing them and using them again. 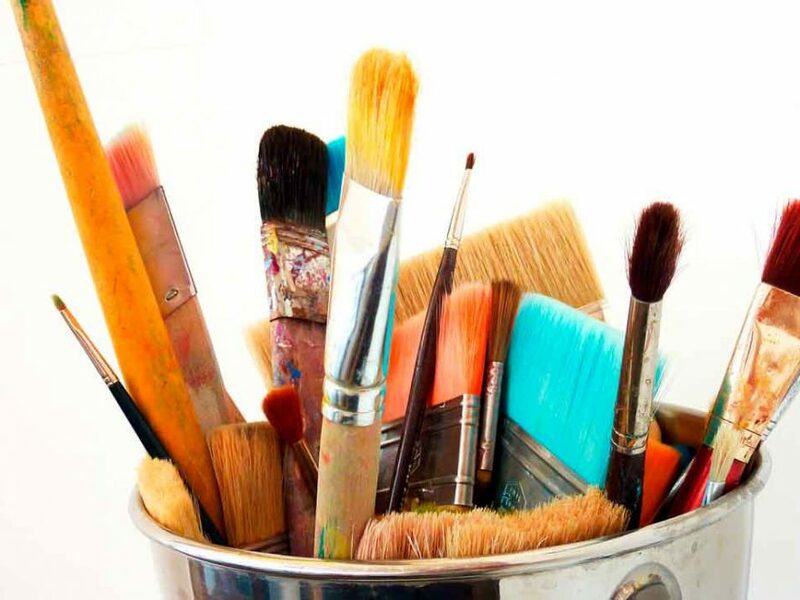 Acetone can be an excellent solution for removing oil paints from your brushes, however, when using this method, keep in mind that you should work outside your home due to the strong smell. Pour a bit of acetone into a cup and dip your oil paint brush into this. Allow your brush to soak for a couple of minutes. Swirl the brush continuously in the acetone solution to dislodge the oil paints from the paintbrush. Wipe off the paintbrush with a tissue paper or a rag, and repeat the process if required. Pour turpentine oil into a small bowl and dip your brushes into it. Scrub the brush bristles at the bottom of the bowl to loosen up the oil paint. Take a paper towel and blot the paint brushes gently to remove the oils. Allow the brushes to air dry properly before storing them for use again!